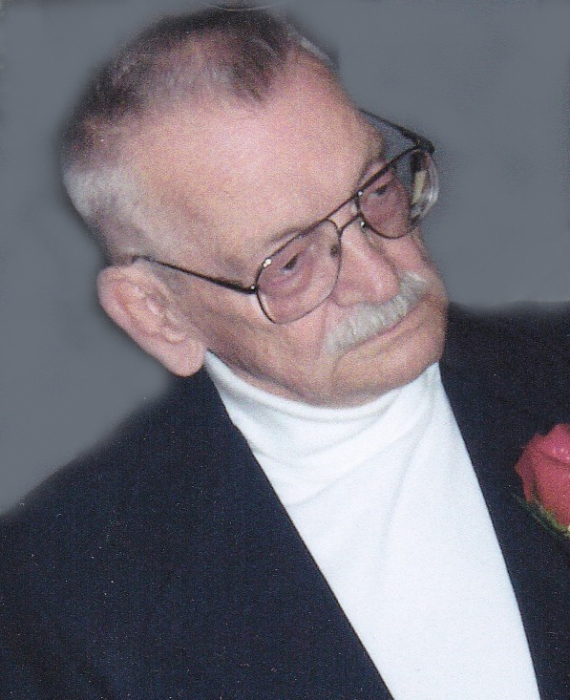 Obituary for William R Powell | Esterdahl Mortuary and Crematory, Ltd.
William R. Powell, 87, of Colona, died Sunday, April 7, 2019, at his home. Funeral services will be 10:00 a.m. on Thursday, April 11, 2019, at Esterdahl Mortuary & Crematory, Ltd. Moline. Burial will be at Rose Lawn Memorial Estate. Military Honors will be conducted by the Colona American Legion Post 1233. Visitation will be Wednesday, April 10, 2019, from 4:00 p.m. to 7:00 p.m. at the funeral home. Masonic Services will be held 7:00 p.m. on Wednesday at the funeral home, conducted by Clement Lodge 680 A.F.& A.M. Memorial may be made to First Southern Baptist Church Building Fund in Colona. William was born on March 17, 1932, in Wayne, Indiana, the son of Roy Powell and Carolyn Fegley Powell. He served in the United States Army during the Korean War. William married Nora Myers in Colona on December 26, 1954. She preceded him in death on September 23, 2002. He later married Mary Jane (Fleming) Kent in Colona on September 10, 2010. William worked as an Inspector for John Deere Harvester retiring in 1982 after 37 years of service and was a member of the UAW in East Moline. He was a member of the First Baptist Church of Colona. He was a former Master Mason at Clement Lodge 680 A.F.& A.M. He was a board member on the Henry County Crime Stoppers where he was involved with the Fingerprinting Children Program. He was volunteer ambulance driver for the Cambridge Fire Department. William was a courier for Blackhawk Bank and Trust and was a Ham Radio Operator. Survivors include his wife, Mary Jane; daughter, Sharon (Laurie) Young of Rock Island; son, William F. (Marlah) Powell of Cambridge; stepson, David (Sharon) Clementz of Port Byron; foster children, Donald Powell; Terry Powell; Michael (Wendy) Powell, all of Cambridge; 3 grandchildren, William (Nikki) Powell of Cambridge; Erin Elizabeth (Patrick) Woods of Moline; Anastasia (Joe) Billet of Columbia, Missouri and 10 great-grandchildren. He was preceded in death by his parents; wife, Nora; infant son, Robert F. Powell; and son, Carroll Eugene Powell.